Here in Ribble Valley we like to welcome all visitors, and many of our businesses make special provisions to enable access for all. Holiday home parks can be a particularly difficult environment for visitors challenged by mobility. At one park, where an excellent service is already being provided, special facilities are being made available to ensure accessibility. The acquisition of a caravan holiday home specifically designed for wheelchair users has been installed. Additional features are being included to improve access and use of facilities including a sliding door and a wet room. 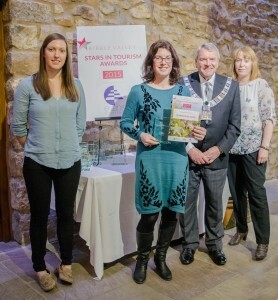 The winner of the Tourism for All award goes to Shireburne Park.